In honor of President’s Day, I decided to share a cool infographic that covers each and every one of our 44 Commander-in-Chiefs. 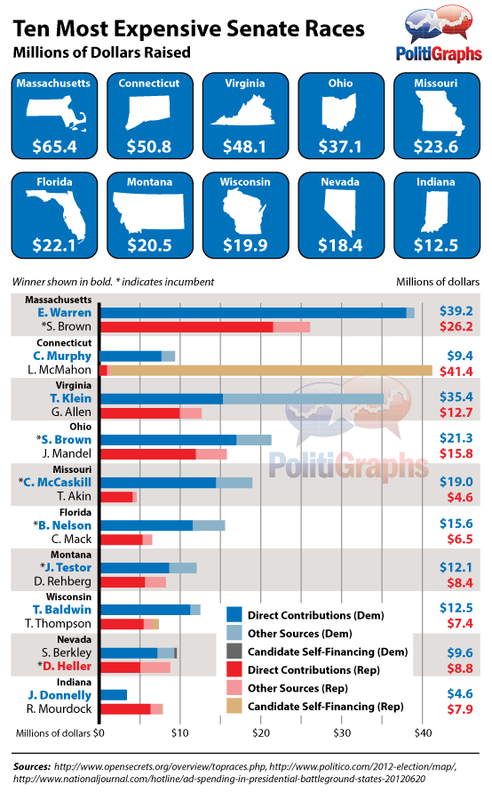 How did Super-PAC Money Impact the 2012 Election? As soon as the Citizens United ruling was handed down, we were told by politicians and pundits alike that campaign spending would skyrocket and change the face of politics as we knew it. President Obama lamented that the decision would “open the floodgates” of money pouring into the election process which would “allow corporate and special interest takeovers of our elections” and damage our democracy. We at Politigraphs wanted to take a look at how the landmark campaign finance ruling actually impacted the 2012 election. As it turns out, Citizens Untted doesn’t appear to be the democracy-dooming decision the left predicted. In the end, the President’s official campaign set campaign spending records and two of his former aides established the Priorities USA super-PAC which deployed Rahm Emanuel as its chief fundraiser. 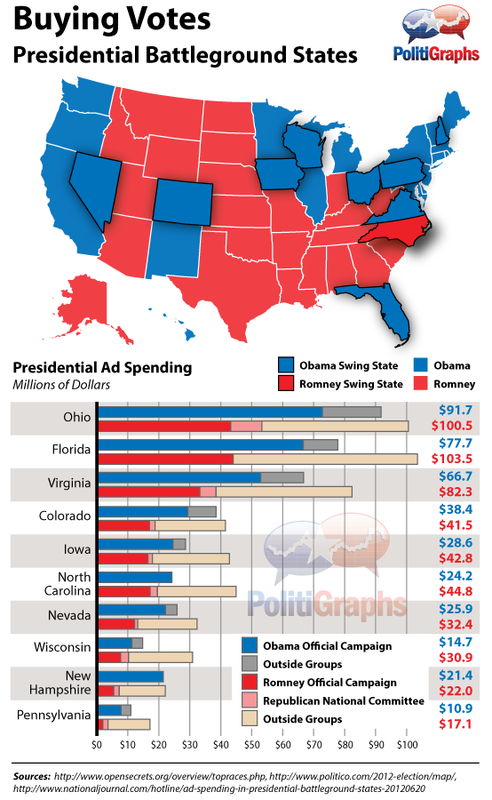 While Mitt Romney and his super-PAC friends out-raised the President and his supporters in virtually every swing state we examined, if you look at only the money directly controlled by the candidates’ campaigns, the President actually out-raised his challenger in each of these critical states. The President went on to win 9 of 10 “battle ground states” sealing his victory. 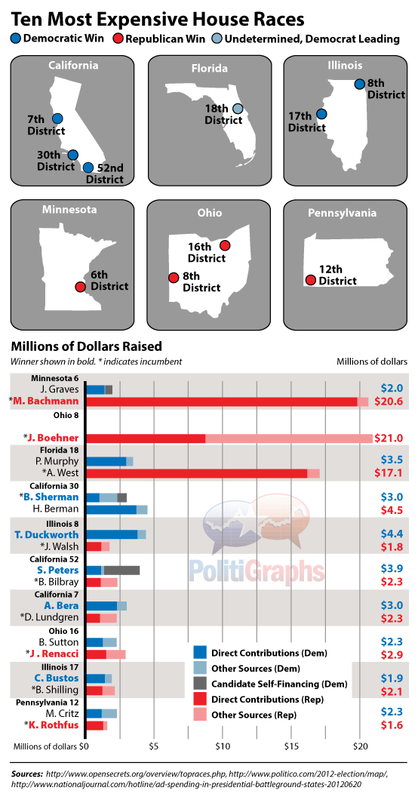 Note: In each graphic we focus on the amount of money raised by each candidate. Spending totals are still coming in, but comparing the size of the candidates “war chests” gives us an idea of how much money COULD have been mobilized for their cause. When evaluating the 10 most expensive Senate races of 2012 we discovered that Democrats and affiliated super-PACs actually out-spent their Republican opponents in 8 out of the 10 races and won 9 of them. Obviously, comments by GOP candidates Akin and Mourdock factored heavily into their races, and Linda McMahon’s self-funded campaign fell short despite out raising her opponent nearly 4 to 1 but the specter of special interest and corporate funding buying elections failed to materialize. The 10 most expensive races in the House of Representatives aren’t quite as clear cut due to anomalies such as John Boehner raising $21 million and spending $19.9 million of it in a race where he ran unopposed, two Democrats battling it out in California and a couple of still undecided races. However, the trend of the candidates who had direct control over the most money going on to win their race held up fairly well with the only exception so far being the double-Democrat race in California. We should stress that the sample sizes of our study were fairly limited and they wouldn’t live up to the rigors of truly scientific statistical analysis. Still it seems fairly clear that the Citizens United decision did NOT put our nation’s elections up on the auction block and in fact, good old fashioned non-super-PAC candidate spending may be the bigger influence on our democratic process. Each of the infographics above are embedable but if you’d like to use the full version combining all the data discussed, we’ve made that embedable as well. Simply copy and paste the code from the box below. 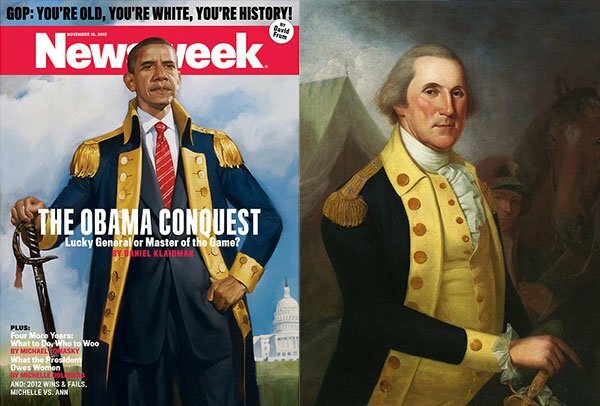 Fox News and other conservatives have once a again shown a reckless disregard for both history and fact checking by claiming that Newsweek’s latest issue portrays President Obama as Napoleon. Looks a bit more like General George Washington’s formal military dress to me. But, I just report, you decide. Here’s a clip from the tail end of the Fox News discussion which includes an even less flattering comparison to Obama. 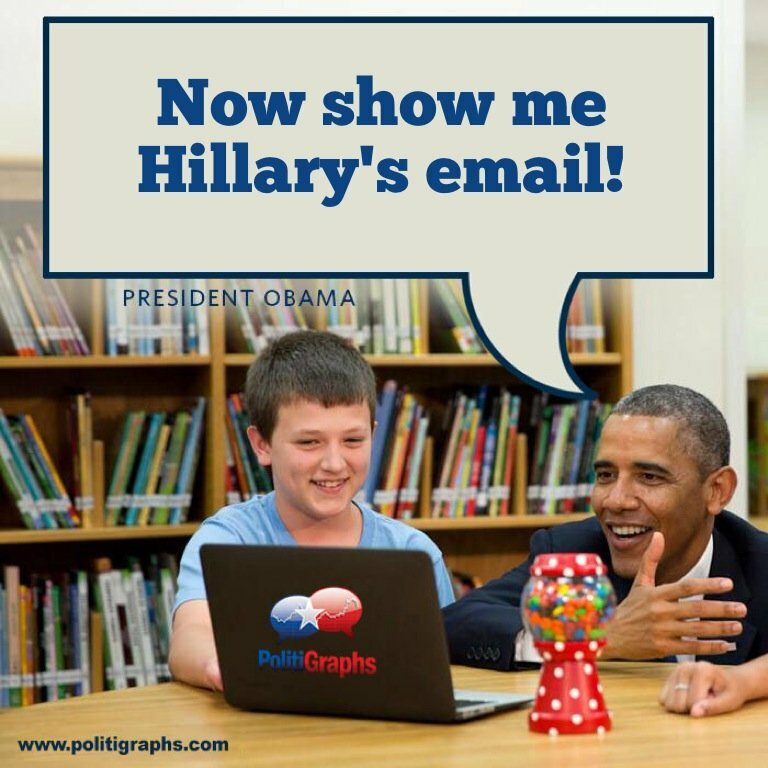 It’s more productive to act upon polls than to try to explain them away. Republicans aren’t the only ones with lots of money to throw at elections. 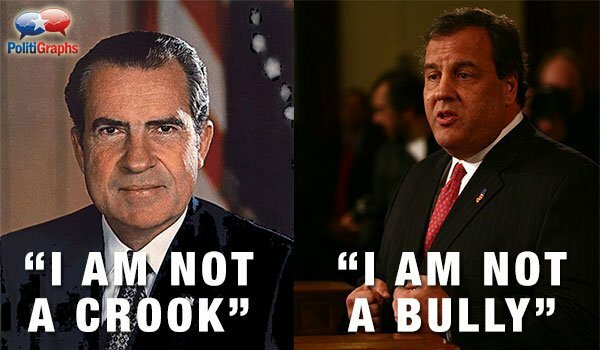 Extremist candidates say extreme things. And then they lose. You can’t redistrict the whole country. People who warn us we can’t keep doing the same thing and expect different results seem to keep doing the same thing.